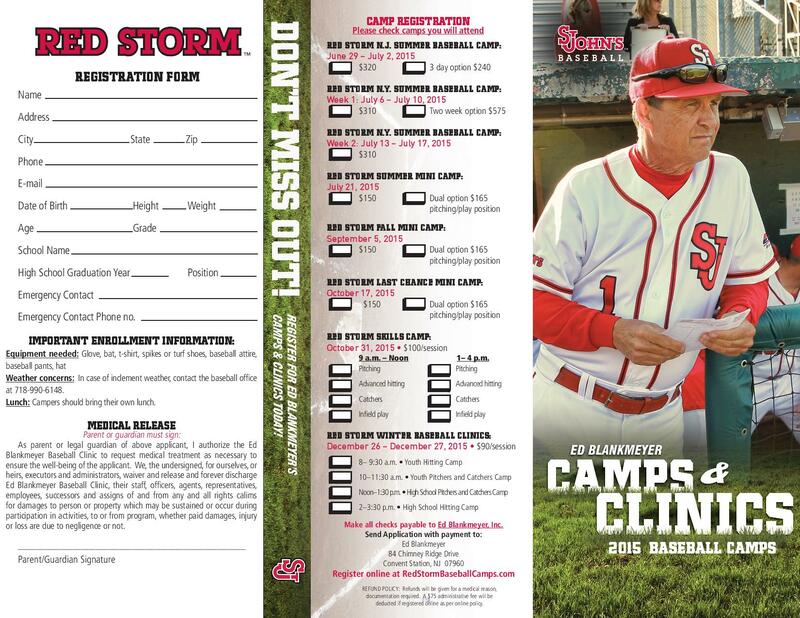 Ed Blankmeyer; Head Baseball Coach of St John's University & Morris Township resident, will be running his Red Storm Baseball Camp this summer at the Ginty Field Complex. Red Storm Camp is an all around baseball camp covering basic skills, team fundamentals and game activities. Pitching , base running, infield and outfield instruction. Athletes will participate in Instructional games putting their new skills in action! Ed Collins is currently the Head Baseball Coach at Morristown High School. He was a 9th round draft pick in 1994 by the Milwaukee Brewers. Coach Collins also played for the Florida Marlins organization as well as with the NJ Jackals. He has over 15 years of Coaching, Professional instruction and running Camps/Clinics. The Colonial baseball Camp staff will be made up of the Current Morristown HS coaching staff along with Former/current Professional and Collegiate players.